If using Local Group Policy you'll need to open the Group Policy Editor (Start > Run > gpedit.msc). User Account Control: Behavior of the elevation prompt for administrators in Admin Approval Mode - Set its value to Elevate without prompting. User Account Control: Detect application installations and prompt for elevation - Set its value to Disabled. User Account Control: Only elevate UIAccess applications that are installed in secure locations - Set its value to Disabled. 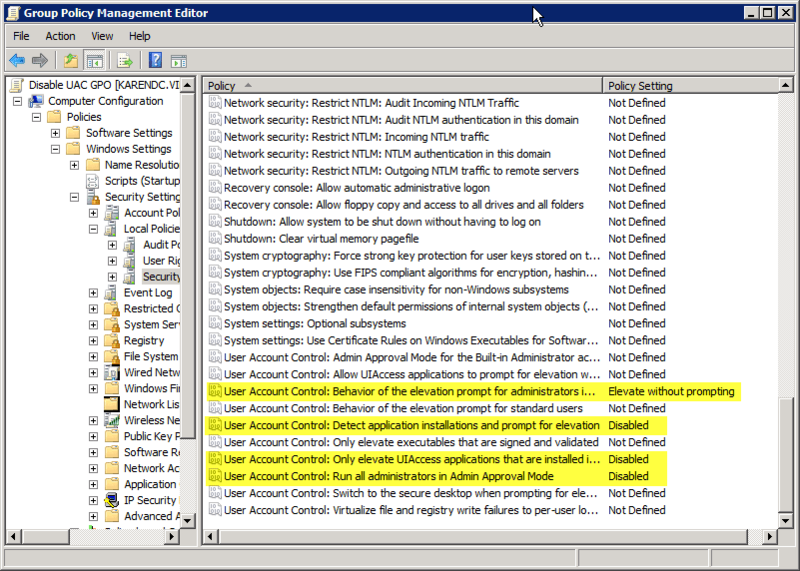 User Account Control: Run all administrators in Admin Approval Mode - Set its value to Disabled. Another method to disable UAC is through the computer's Registry.